Kathi and I have had a CRAZY October. But I just had to do this one task that has been ridiculously late. It is the latest Chapter of the Emily Claire Journal. You can read the entire journal by following this link: Emily Claire Journal. It is in reverse order so start at the back and read forward. Thank-you for your patience. 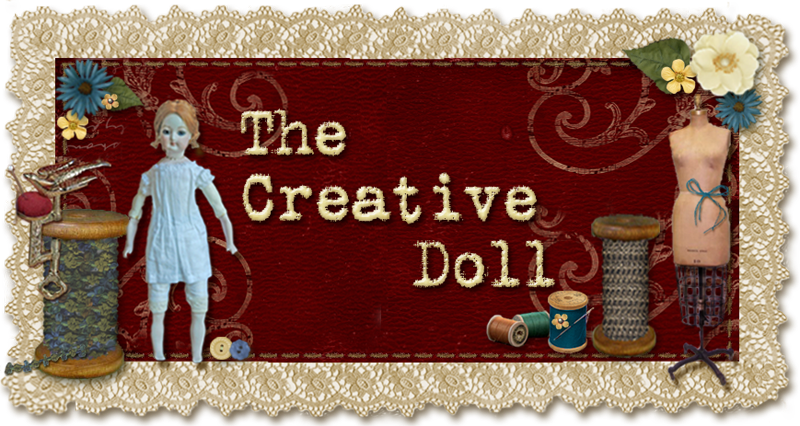 We have much new things coming up that were are excited about (hint NEW fabulous doll kit). Accessories are the fun part of collecting and playing with dolls. They reflect and mimic every part of our lives. Whether you buy them or create them from a kit or your own talented hands, be sure to include accessories in your collection. Seen here are pieces of my collection; the fan from the talented hands of Alice Leverett and the dance card completed by me from one of her kits. Alice Leverett Originals and kits purchased at justalice.com. Mitts by Carole Sharp, Dance card from kit by Alice Leverett (justalice.com) , Diary and books by Kathi Mendenhall(minipatterns.com), Fan by Alice Leverett, fabric scrapbook - scrapbook kit from Ann Vanture of Paperminis (paperminis.com) and scrapbook completion and idea by Kathi Mendenhall. This spring has been a whirlwind. I continued my stay long after mother and father returned home. James and I became a pair throughout the celebrations and parties and we have developed a congeniality and affection between us. I remembered wonderful moments as I packed today. My beautiful fan, handmade, packed in its box, fluttering stilled until another day. I pressed a kiss with my fingers to a written name in my dance card and waltzed it across the room to place in my trunk. I travel home today and will return at summer’s end for the wedding. Sarah is so happy! And I? I am happy, too. James is escorting me to the train station and will visit in the coming month. Well I was waiting for the engagement announcement of Emily Claire. Perhaps in a few years you might revisit. But I did want you to know I thoroughly enjoyed the saga. Loved the clothes and have found a mold for a beautiful little china head that resembles a Gibson Girl. She is poured and awaiting the cleaning and painting process. So she may be my "Emily Claire" for the 1890' to 1900. I have to wait until after Dec 11, a doll show, that I must get ready for. But then she and I will create. Perhaps she will be beautiful enough to share with you all. Love your emails and Love your site.